Inspiring young minds! My first Children's Book is published! Inspiring young minds is a powerful thing. I was inspired to write children's prayer books for blessings and God's grace. 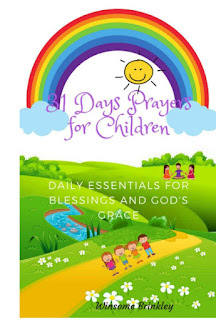 Check out my new book 31 Days Prayers for Child on Amazon.